We show Page 60 of Tamboran Resources’ presentation to Engineers Ireland at the Sligo Park Hotel early in 2012. This presentation is dated September 2011 and may well be the same one given privately to various gatherings since then. A member of the Impact Research Group attended a Tamboran Resources presentation to Oireachtas members early in 2012 and a more moderate presentation was given on that occasion. One of the critical aspects we raised in both of the papers mentioned in points #3 and #4 above is the urgency of getting methane under control. 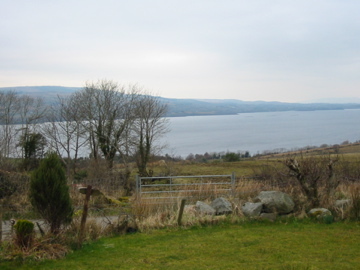 According to a UN report from last summer and a paper by Shindell and others published in SCIENCE in January 2012, it is critical that global methane emissions be reduced immediately, or else the planet faces a high danger of reaching critical point temperatures within the next 15 to 35 years, leading to uncontrollable further global warming. 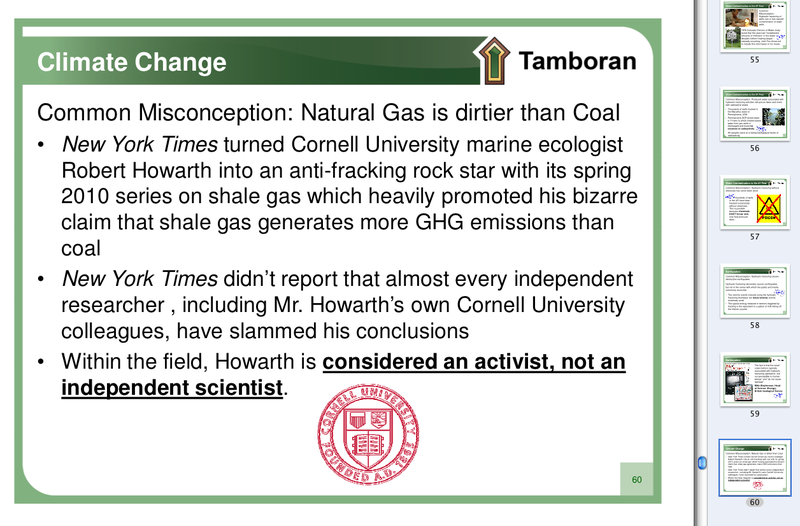 While such a disclaimer is normal practise, we are critical of much public discussion on the subject, including claims by Tamboran, which assumes a certain level of viable gas reserves, not supported to date by any hard evidence. Once again we urge caution and everyone should wait until sufficient information is available on all aspects of the shale gas issue. “The British Geological Survey has put the likely recoverable Shale Gas in Lancashire at less than 0.47 trillion cu. ft., which is 1/400th of Quadrilla’s stated estimate of 200 trillion cu. ft. (Guardian April 17th 2012)”.